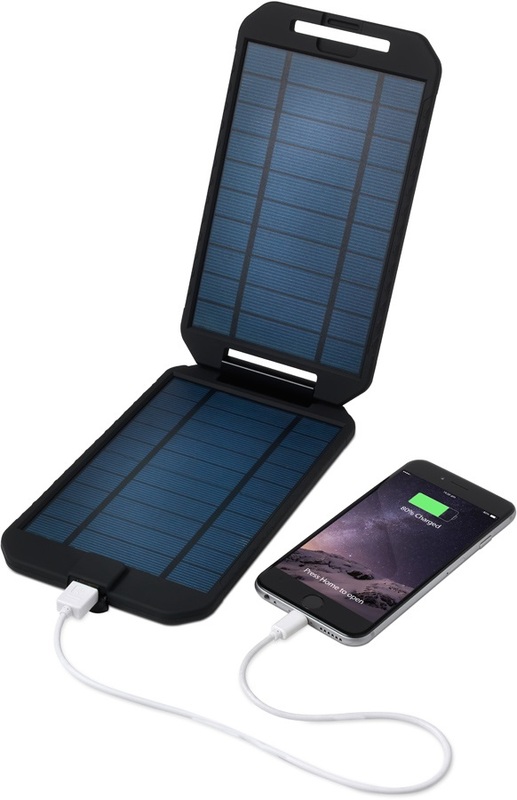 Compact and powerful USB & DC battery pack with solar panel charger for camping and trekking. 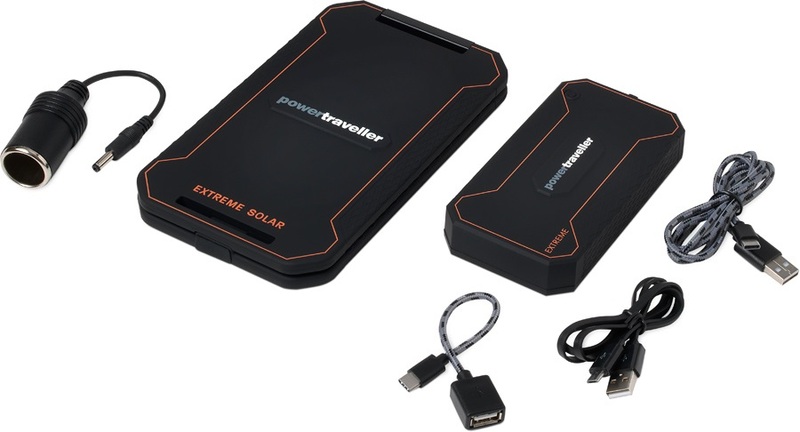 The Extreme Solar Kit combines two of PowerTraveller's most robust chargers and power banks together in one kit - the Extreme power pack and the Extreme folding solar panel. 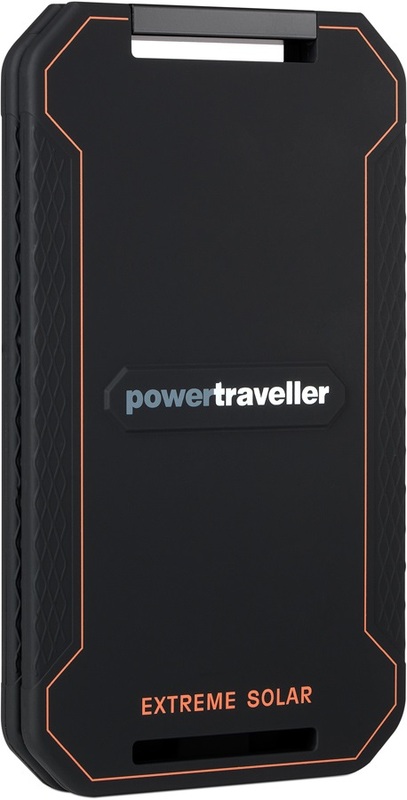 The Extreme Power Pack houses a massive 12,000mAh lithium battery delivering a hefty amount of power for users when they need it most. 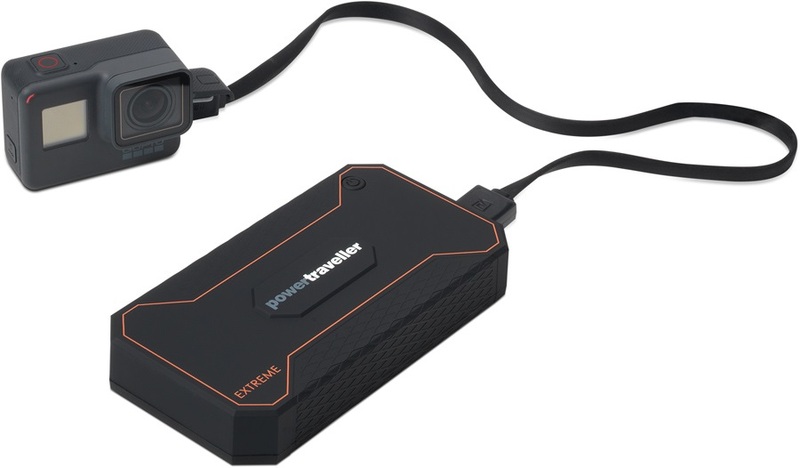 Unlike most portable chargers, the Extreme features both a 12V DC output (suitable for charging larger devices such as SLR cameras and tablets) alongside a 5V 2A USB output for smaller devices such as smartphones and GPS systems. It also features a bi-directional USB-C socket meaning you can charge the very latest devices utilising USB-C charging. Additonal features include 4 LED charge indicators and automatic device detection. 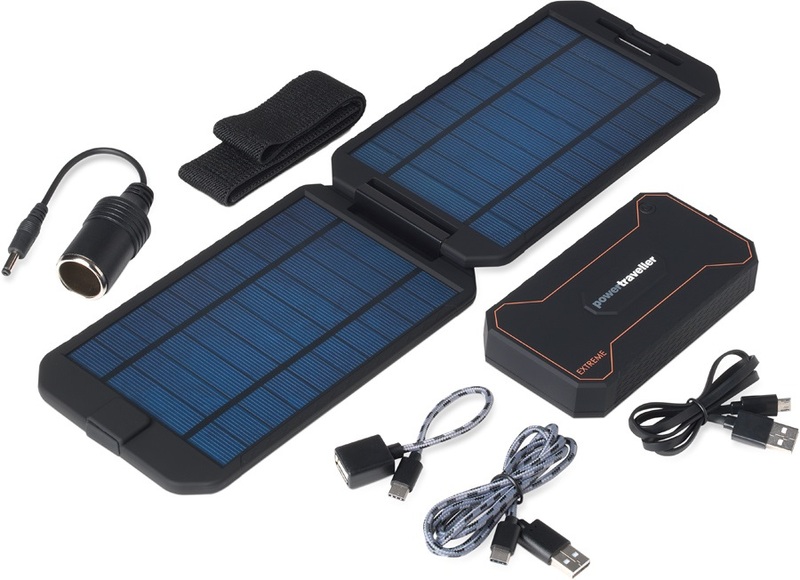 Included in this package is the Extreme Solar Panel which lets you charge electronic devices on the go. 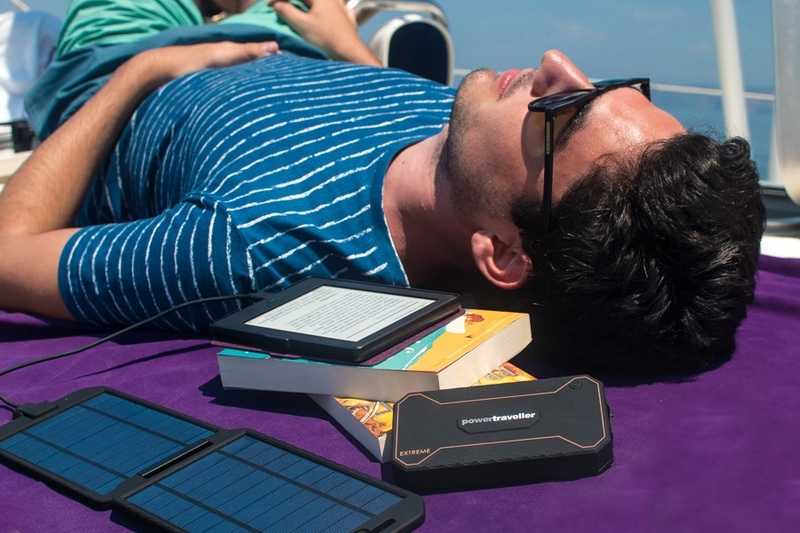 The Extreme Solar gives you an ultralight, hard case dual solar panel that connects to devices via USB to convert solar energy for on the spot charging to smartphones, action cameras, SAT phones, and other 5V devices. 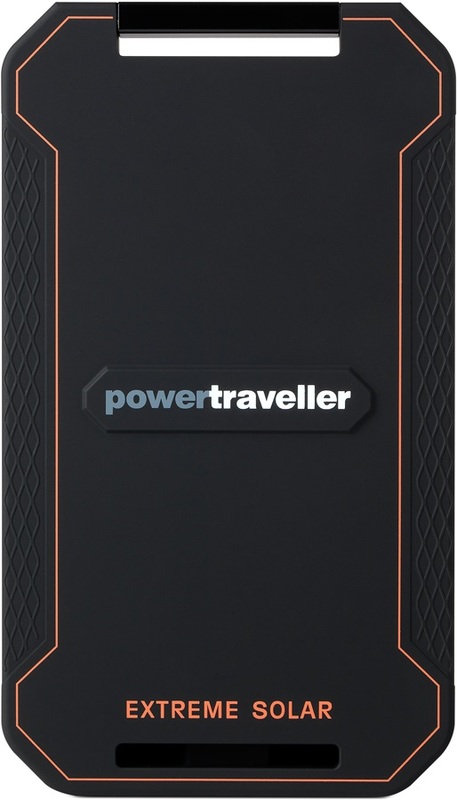 Innovative MPPT technology (Maximum Power Point Tracking) means the panel continues to deliver consistent and reliable power even in low light conditions. 2-colour LED indicators lets you see the charging status for best alignment. When the LED shows red, solar charging is at a minimum. When the LED shows green, solar charging is at an optimum level. 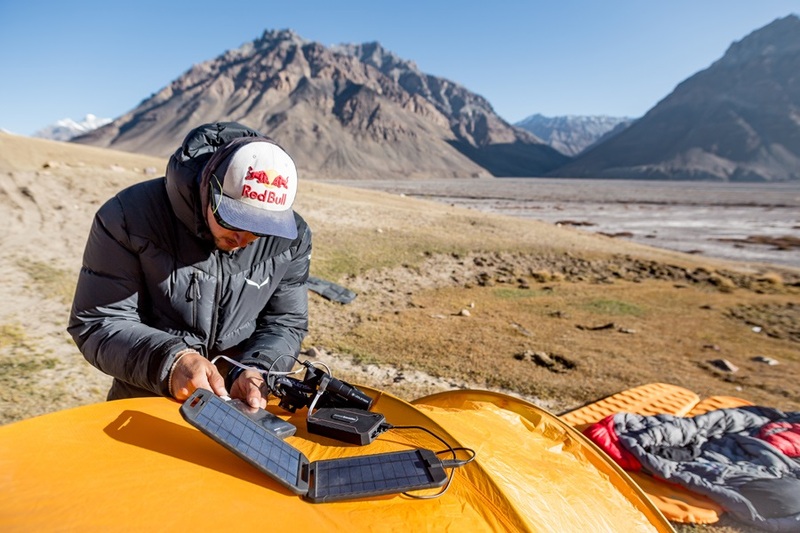 The panel opens to a 210 degree angle, making it easy to attach to packs, tents or bike panniers for maximum charging performance. The hard case 'clamshell' design gives you a robust, water-resistant casing that stores easily in a pack or pannier and holds up to the knocks and scrapes of outdoor use. The compact size and low weight (just 289g!) 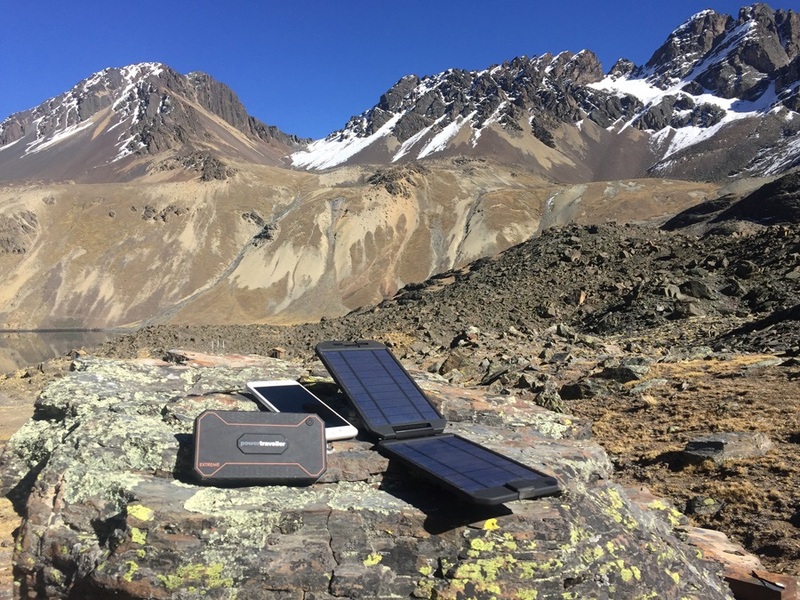 makes it a highly convenient solar charger for travellers and backpackers looking to optimise their pack size and weight. 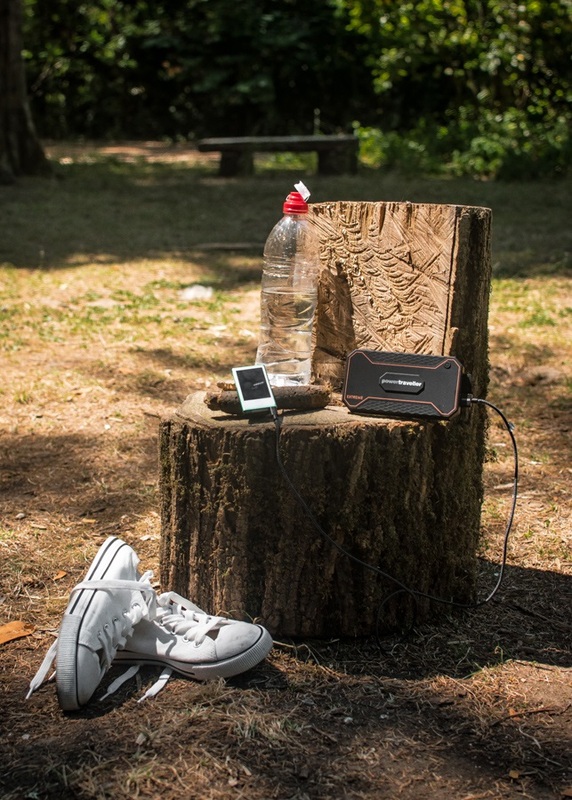 This is a fantastic kit for anyone looking for a portable, lightweight power source for fast moving excursions in areas where wall sockets might be few and far between. 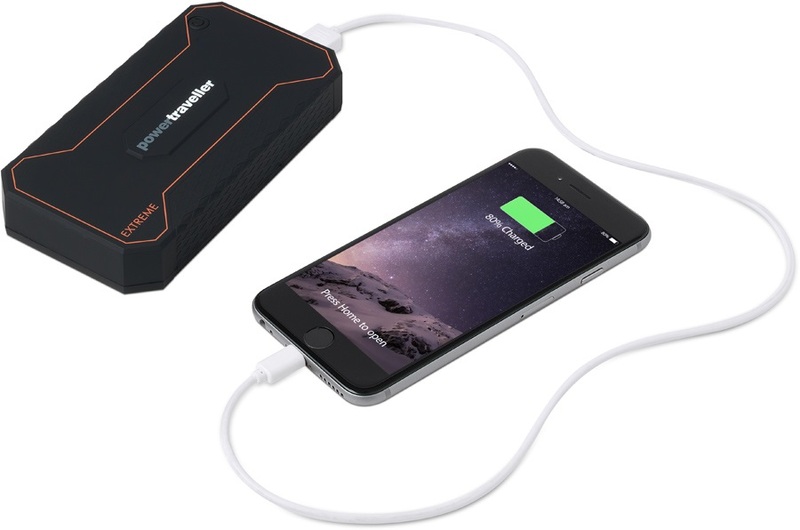 Ideal for photographers, backcountry treks, wilderness fishing and camping trips and more! 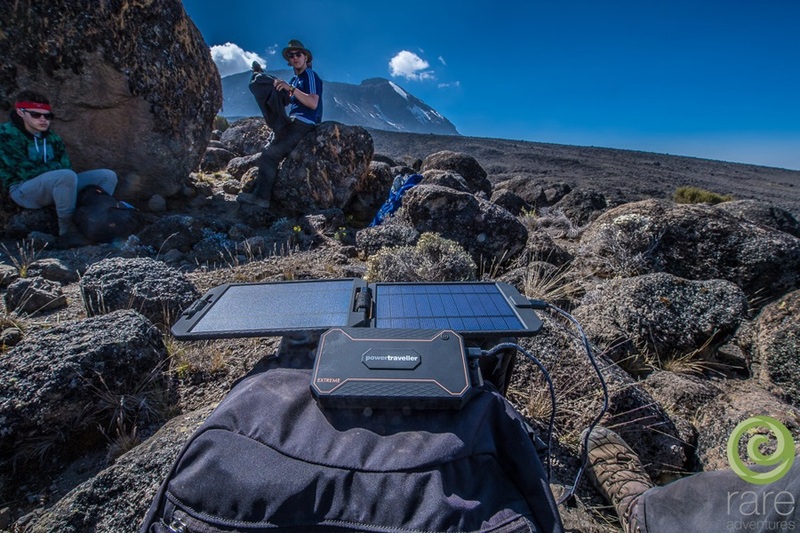 Enjoy the beauty of the outdoors without running out of power with the Extreme Solar Kit portable solar panel and power bank from PowerTraveller.